Category: Sticky, Why Zerodha?, Zerodha? 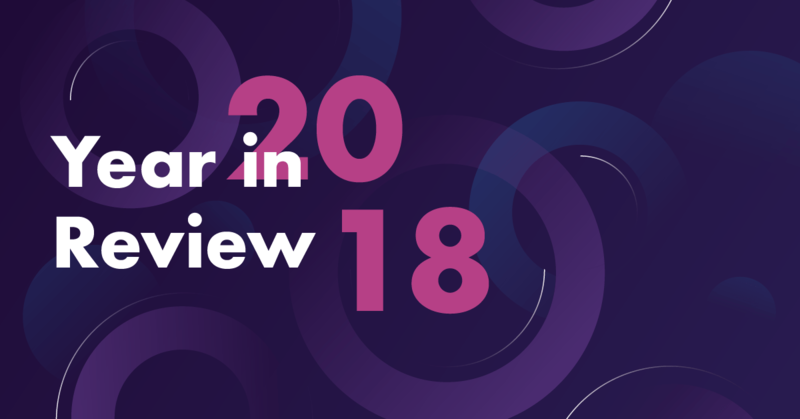 2018 has been a flat year for our markets, but quite big for us at Zerodha – thanks to all of you! Here are some of the highlights. Kite, smallcase, Streak, and Coin have all gotten a brand new update. Sensibull, Coin, Sentinel, Stockreports+, LearnApp, and G-Sec investing have been the new launches. Make sure to check out zerodha.com/investments. 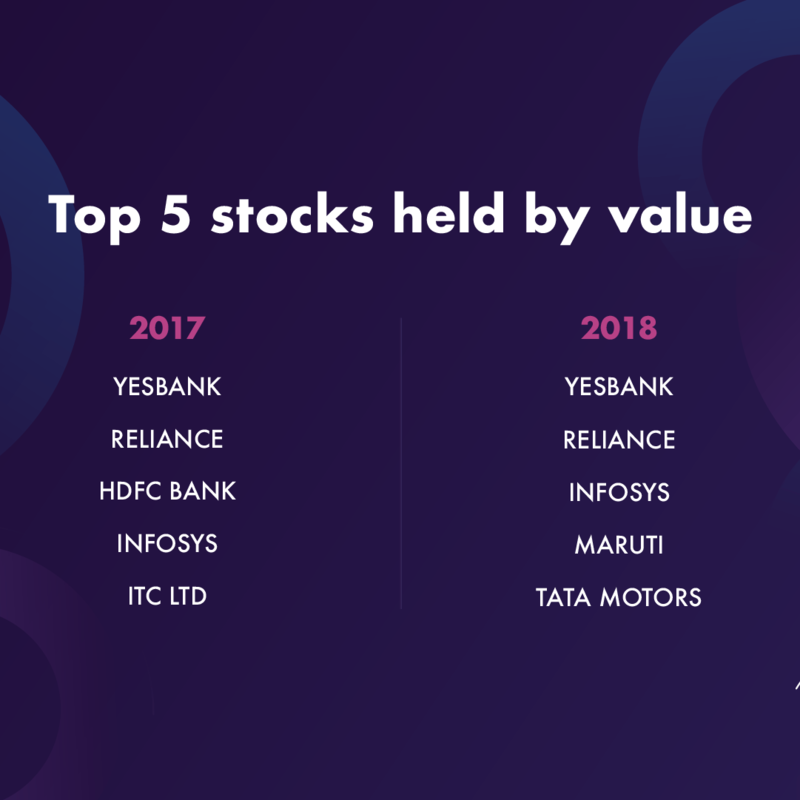 Following were the top 5 stocks held in value as on Dec 31st 2018. Maruti and Tata motors make it to the list, while HDFC Bank and ITC move out. We are now not only the largest retail brokerage by trading turnover in India, but also second by active clients. 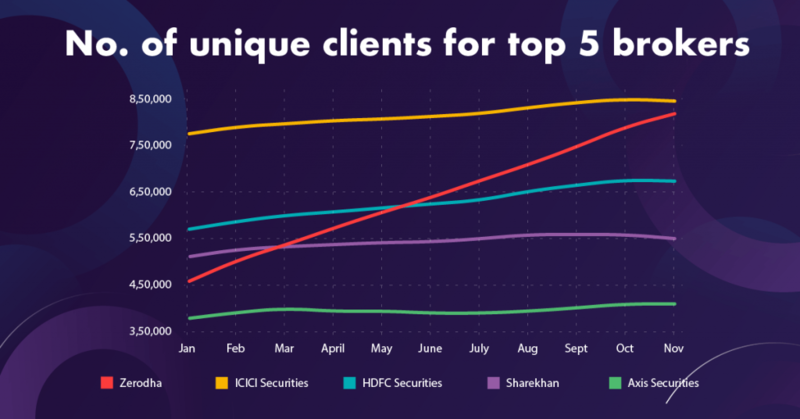 Here is how we have grown in terms of active clients compared to the other top 5 brokerage firms in 2018. As of November 30, 2018, we were the 2nd largest broker in India. Among our various products, we have been most excited with the response for Coin in 2018. Over 1.5lk investors who have invested over Rs 3400 crores in direct mutual funds on Coin, and have already saved over Rs 30 crores in commissions they would have otherwise paid through regular mutual funds. 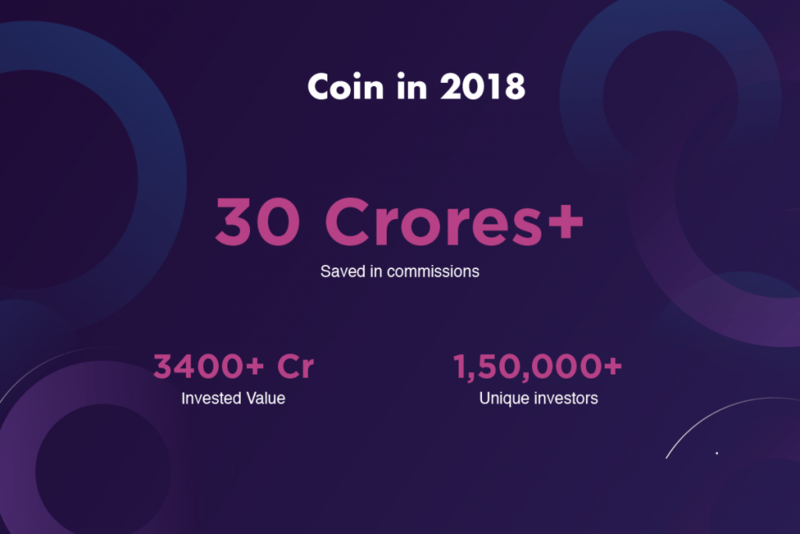 Coin is now one of the largest online mutual fund platforms in India (across regular and direct). Find below some interesting statistics on Coin. 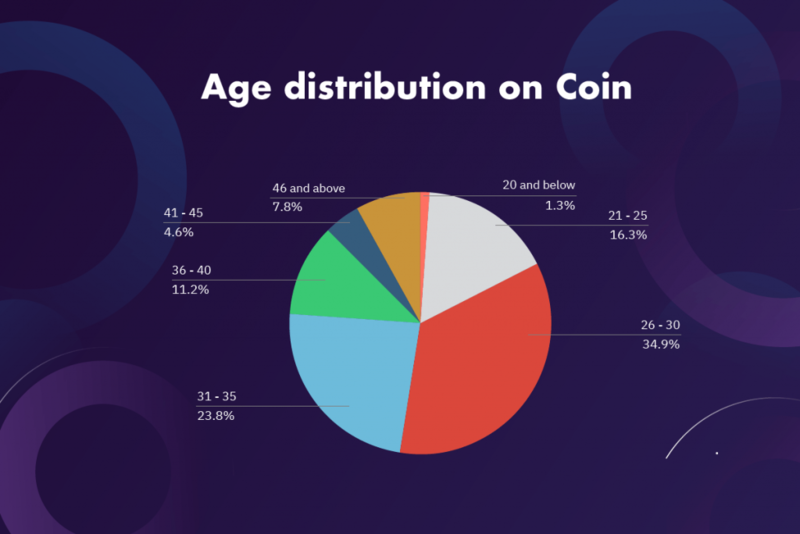 75% of investors on Coin are below the age of 35 while 51% are below the age of 30! The older generations seem to be more resistant to change, even though direct mutual funds mean quite a bit of saving in the long run for those investing on their own. 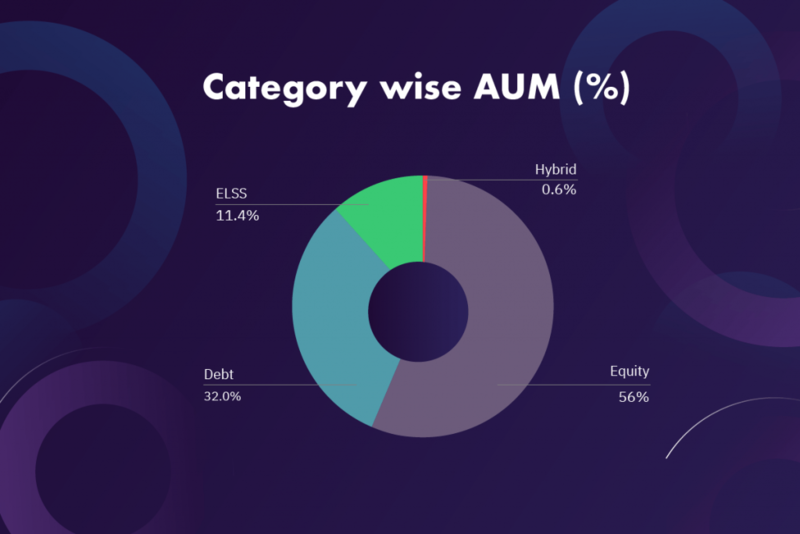 While over 50% of AUM is held in debt mutual funds, on Coin it’s equity – mirroring the retail behavior of lesser exposure to debt mutual funds. We have many updates and new products planned for 2019. Hopefully all of you like them as much as we are enjoying building them for you. Please do continue to help us grow by spreading the word. Hoping that 2019 brings in a lot of health, wealth, and happiness. Thank you very much, Nithin & team for your untiring efforts. I’m excited to see the new products planned! Happy New year! I recommended Zerodha to my brother and he switched from earlier platform to Zerodha. He is facing issues with Mutual Funds dividend and he has opened tickets to get result, but neither does you calling system work nor any assuring response from your end. Please let me know if I should recommend it to others? As I get taunts in public that what I suggested is worthless and cheap product. Thank you in advance if you resolve the issue. If you want, I will pass on his contact details. We’re sorry to hear that, please share his registered email address or the ticket no. We will have this looked at. Please bring a new Flat Fees Brokerage for Option Traders.For regular option trader 20/lot still costs too much if you accounts for a year. Hey whenever I mark the trendlines and use the channels, those get disappeared either in a day or 2 despite saving the preferences. Can the team please look into it? I am using coin app but I am unable to get amc’s e statement. Even I contacted directly to amc with folio no they responded that for dp account they will not send any amc printed e statement. I am really wonder about that ? Hi Swarna, that’s right. When your investments are held in demat form, AMC statements aren’t generated. May I ask what you’re looking for in the statements that’s not already available on Coin? Hey Naziya, when your investments are held in demat form, AMC statements aren’t generated. May I ask what you’re looking for in the statements that’s not already available on Coin?